Minister for Science, Karen Andrews,says the current round of regional research grants are “science diplomacy”. Credit: AFR. Australian scientists are linking up with their colleagues throughout the Asia-Pacific region to tackle serious diseases like tuberculosis and malaria, as part of the latest round of federal government research grants. The second round of funding through the Regional Collaborations Programme has seen $1.25 million given to 14 institutions around the country. Federal Science Minister Karen Andrews said the grants functioned as a kind of “science diplomacy”. 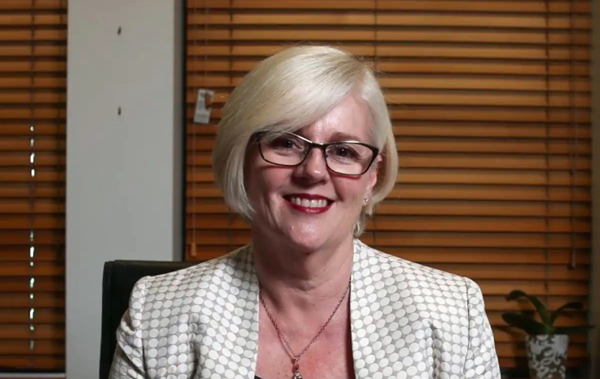 “Because we’re working to promote with what Australia is doing but also looking at how we can work with our neighbours to develop projects which will be mutually beneficial,” Ms Andrews said. The minister pointed to the example of the CSIRO, which will partner partners in Singapore and Malaysia to monitor coastal water quality using digital earth observation technology. Among the other projects funded are the Menzies School of Health Research partnering with Bangladesh, Indonesia and Nepal to develop malaria treatments, and Macquarie University in partnership with India, Indonesia and the Netherlands to develop a compact and portable explosives sensor. Queensland’s Griffith University was given funding for a joint project with researchers in New Zealand and the USA looking at fossil teeth from early hominins understand changes in diet, drinking water and the Earth’s climate. Ms Andrews said the projects had been selected based on their merits but also their ability to foster collaboration between countries. “We wanted to make sure there was a significant level of interest from the partnership countries,” she said. The funding for the program was announced in 2016, and has invested $2.23 million since then. It comes after the federal government boosted medical research funding in the federal budget this week, while being criticised for letting funding languish in other areas. The government countered by insisting it was funding science at a higher level than the previous Labor government, with an increase of $1.5 billion over funding under Labor.